Imagine preparing for your wedding day inside a beautiful historic farmhouse, then exchanging vows with your beloved under an azure sky, surrounded by your loved ones and acres of colorful flora, with the scent of fresh flowers wafting on the breeze. 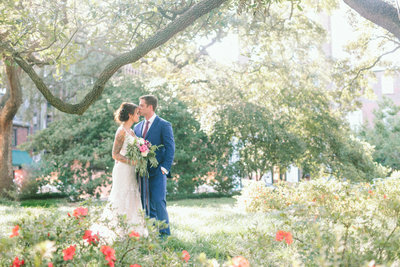 If you love flowers and dream of a beautiful Southern wedding in Savannah, Georgia, the Savannah Botanical Gardens can make your wedding dream become reality. Located only minutes away from Savannah's Historic District, the Savannah Botanical Gardens were conceived and designed in the 1980s by volunteers. The Garden includes a pond, amphitheater, nature trails, an archaeological exhibit, and the historic Reinhard House. The Reinhard House is a German vernacular farmhouse was built in 1840. Originally built near present-day downtown Savannah, the house was moved to the Botanical Garden in the early 1990s to save it from demolition and today serves as headquarters for the Savannah Area Council of Garden Clubs, Inc., and member clubs. Today, the Botanical Garden is owned and operated by Savannah Area council of Garden Clubs, Inc, a non-profit organization that consists of 15 garden clubs. The Garden: Featuring 10 acres of magnificent flowers and plants, the Botanical Gardens include rose gardens, winter, fall, herb, and vegetable gardens, and camellia, perennial, shade, and fern gardens. It includes nature trails that run around a pond and has been recognized by the Wildlife Federation as an official wildlife habitat. Reinhard House: Built of heart pine with gingerbread trim, the lovely Reinhard House is one of only two pre-Civil War farmhouses in Savannah. Two stories tall and surrounded by a lush green lawn with a charming white picket fence, the Reinhard House is the perfect location for the wedding party to prepare in before their outdoor garden ceremony. Rental fees for the Savannah Botanical Gardens includes setup and clean up, an altar, chairs and tables with chair covers and table linens, and a bridal suite. Surrounded by the beauty of the gardens, extensive decorations are not necessary. The walkways at the Savannah Botanical Garden are largely wheelchair accessible with benches located throughout the garden for visitors' convenience. 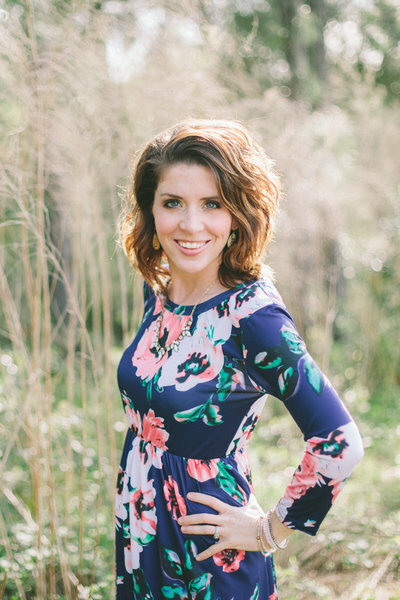 The Botanical Gardens staff are professional, caring, and flexible, and will go above and beyond to help make your wedding day go smoothly. Because space is limited, the Savannah Botanical Gardens encourage couples to call or email their wedding coordinator for more information and to see if they can accommodate you and your guests. With both formal and naturalistic plantings and a two acre pond, the Garden is the perfect location to create stunning wedding photographs. Blooming roses, perennials, and seasonal blossoms provide the perfect backdrop for romantic and enduring images, as do the panoramic views of the pond and surrounding wooded areas. The Reinhard House also includes multiple lovely indoor settings for wedding photos, including gorgeous upstairs balconies. 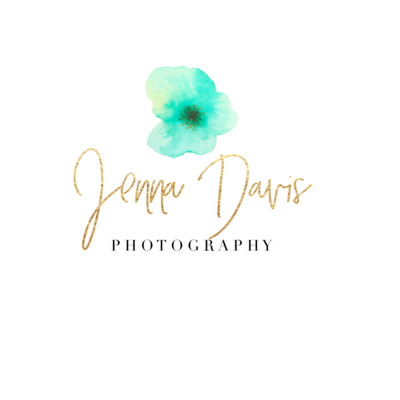 Here at Jenna Davis Photography, I love getting to know couples who plan to tie the knot in Georgia. 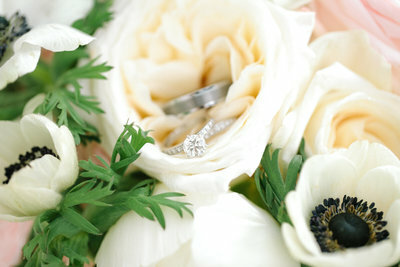 I shoot primarily in Savannah, and the beautiful Botanical Gardens is one of my favorite wedding venues. With my knowledge of this magical venue and passion for capturing precious moments with my camera, my goal is to help you memorialize your special day and bring your unique love story to life through captivating photos that you can cherish forever!